The final part of this tale takes place at The Grove, Montenegro; where we had fun things to do like remove plaster, uproot brambles and find somewhere to live. 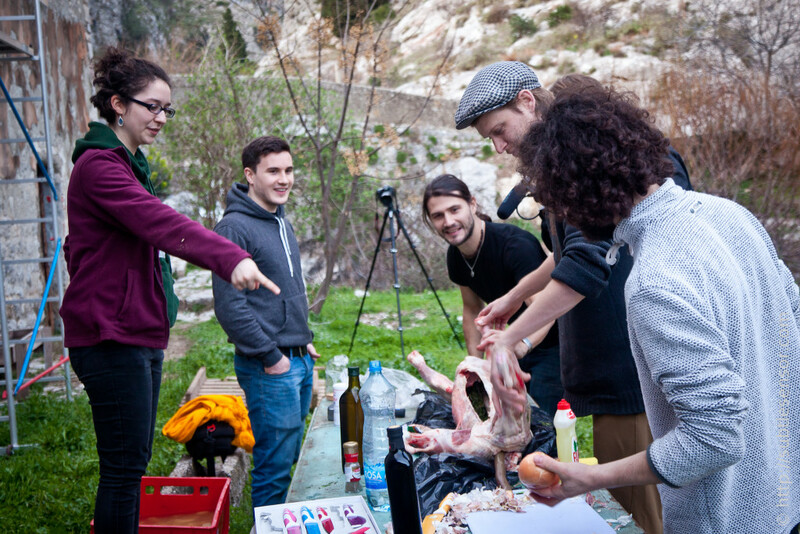 As well as some not so fun things to do, like smashing concrete, roasting a lamb over open flames and day-tripping to Podgorica for snacks and supplies. Remember, if you’d like to help Zoe, Chris and the Quilliam boys out, in exchange for food and accommodation, then you can find them on HelpEx or contact The Grove via Facebook. I recently had the opportunity to join a road trip from Newcastle to Montenegro, via London, Calais, Bruges, Brussels, Rothenberg, Bled and Dubrovnik, traversing 9 countries in the process. Basically, a friend of mine, Beth, works at Quilliam Brothers’ Tea House in Newcastle, and the Brothers’ new project is a hostel in Montenegro. They have bought a disused olive mill – currently a shell of a building, albeit a beautiful shell – and intend to turn it into an eco hostel. There is a lot of work that needs doing and the first job was driving a minibus, loaded with supplies, to the town of Stari Bar where the hostel is located. (Incidentally, there’s plenty more work to be done over the next year. If you’re interested in working on a HelpEx basis, contact the guys via their Facebook Page).